Capturing the danger and excitement of political intrigue, Steven Spielberg's Lincoln chronicles the final four months in the life of the man regarded as America's greatest President. Starring Daniel Day-Lewis in the title role, the untold story focuses on a defining moment in Abraham Lincoln's life - as commander-in-chief of a country in chaos; as a husband and father afraid of losing his own son to the war; and as a man guided by his conscience to end slavery. With the Civil War nearing conclusion, President Lincoln fights to convince a fractious Congress to pass a Constitutional amendment that will change the course of history. Facing fierce opposition, he wages a battle of strategy, persuasion, and political muscle to build a coalition out of his team of rivals. $944.308 thousand on 11 screens. Six times in his long, illustrious career, Steven Spielberg directed two films in the same calendar year. (That becomes seven if you believe he actually helmed 1982’s Poltergeist.) Every time Spielberg did a “double dip”, he’d take an extended break of at least two years before his next project, and he usually went longer than that between movies. Until 2012, that is. After he made The Adventures of Tintin and War Horse in 2011, Spielberg bounced back a year later with Lincoln. Perhaps even more impressively, Spielberg released all three over an 11-month span – and all three were large undertakings, not quick, easy toss-off flicks. Pretty amazing for a man a) who hit 66 a few months back and b) who has nothing left to prove. Lincoln didn’t score as big in terms of prizes as one might’ve expected – despite 12 nominations, it won “only” two Oscars – but it emerged as a significant hit with a solid gross of $181 million in the US. Lincoln takes us to January 1865 and introduces us to President Abraham Lincoln (Daniel Day-Lewis) near the end of the Civil War. Before that occurs, Lincoln wants to get the 13th Amendment to pass through Congress. This law will finally abolish slavery in the United States; Lincoln feels he needs to achieve this prior to the reunification of the country or else passage will become much more difficult. With the slave states back in the union, it’ll be a lot tougher to get the right percentage of votes, so Lincoln encounters a “ticking clock” to change the law. The film follows the President’s actions in this regard and introduces us to other key players such as Congressman Thaddeus Stevens (Tommy Lee Jones) and Secretary of State William Seward (David Straithairn). We also learn a little about Lincoln’s family life with wife Mary Todd (Sally Field), adult son Robert (Joseph Gordon-Levitt) and young son Tad (Gulliver McGrath). Going into Lincoln, I suspect most potential viewers assumed it would offer a broad biography of the president. This meant its focus on a brief period – even one with such significance – came as a surprise, and not entirely welcome by all; a few of my friends felt disappointed that the film opted for such a restricted time frame. Though adapted from Doris Kearns Goodwin’s nearly 1000-page Team of Rivals, Lincoln emphasizes only about five pages of the source! As for me, I liked this choice. While I can enjoy “life story” films, they tend to end up as little more than “greatest hits reels”; they zip through major events in a brisk, superficial way that usually lacks depth. We might get a general impression of the subjects but we rarely think we know anything substantial about them. Though Lincoln sticks with a limited time frame, it manages to offer a better feel for the characters. Unlike a standard biography, we don’t fly through different ages/eras, so we can bask in the personalities to a more substantial degree. Of course, this holds true most strongly for Lincoln himself. Day-Lewis won pretty much every available accolade for his performance, and I won’t go against that tide. At first, Day-Lewis’s vocal choice might throw off viewers used to a deeper tone, but accounts indicate that these nasal line readings represent Lincoln’s actual voice, so I’m fine with that. Besides, any distractions evaporate within minutes, as Day-Lewis’s performance allows us to buy “high-pitched Abe” almost immediately. Of all the actors, he encountered the biggest challenge due to our familiarity with Lincoln – or at least our long-established notions of what the man was like. Outside of the voice, Day-Lewis does nothing to violate those ideas, but he manages to take the role far beyond the simplistic “Honest Abe” we usually find. He fleshes out Lincoln and makes the president seem like a living, breathing person. Lincoln comes with an awesome cast, though I’m not sure that’s really a good thing. Spielberg packs the film with so many notable names/faces that it becomes a distraction; so often did I go “hey, that’s Actor A!” that I got taken out of the film on occasion. I’m all for getting the best actors in a movie, but sometimes famous folks can take away from the project, and I think that happens here. Much was made of Field’s casting, primarily due to age; although Mary Todd was almost a decade younger than Abe, Field is more than a decade older than Day-Lewis. That issue distracts me more from a cognitive POV than from the results on-screen; Field looks great for her age, and makeup mostly solves the chronological gap between her and Day-Lewis. But Field still ends up as the film’s weakest link, primarily due to her hammy performance. Granted, Mary Todd seems to have been a rather outsized personality, so some theatricality makes sense, but I think Field goes too far. Especially compared with the understated naturalism of Day-Lewis, Field becomes a distraction. As do the usual Spielberg traits. Like I’ve stated in prior reviews, I don’t dislike all of the director’s sentimental choices – heck, ET the Extraterrestrial remains a favorite, and it indulges in obvious emotion – but I wish the filmmaker would reign in these tendencies with his more dramatic flicks. We get the standard choices. We find scenes that seem to exist just for their heavy-handed emotional impact – usually those where “noble truths” are spoken – and we encounter turgid sappiness at times. Lincoln isn’t predictable because we know the history behind it; Lincoln is predictable because we know the director behind it and can figure out his methods in advance. One of John Williams’ weaker scores doesn’t help. In a movie that screams for subtlety, Williams drowns us in mawkish, obvious cues. These spell out all the emotions for us and leave us without much room to breathe. The movie does work pretty well when it concentrates on the politics. Like I mentioned, some folks would’ve preferred a broader biography, but I think Lincoln mainly comes to life when it digs into the political subjects. Its take on the behind the scenes efforts to pass the 13th Amendment fare quite nicely, and I also like the segments with Lincoln and his cabinet; those offer a nice “you are there” impression. The movie doesn’t quite know when to quit, however. Does every Lincoln movie have to end with his assassination? Most do, but I don’t think they must – or should. We all know how the story ends; in a flick that concentrates on a political fight, why not finish it when the amendment passes? Lincoln still has half an hour to go at that point, however, which causes problems. What had been a fairly rich look at a narrow topic suddenly embarks on a mad dash to fit in the end of the Civil War and Lincoln’s death. These moments feel gratuitous and doesn’t work as well as they should; I’d have preferred the film to wrap up earlier and not show us what we know will happen anyway. I don’t want to convey that I don’t enjoy Lincoln, for I do. Whatever mistakes it makes, it remains an engaging 150 minutes that brings history to life in a pretty solid manner. I just think it could’ve avoided some mistakes and been an “A” movie instead of a “B-“. Footnote: if you can, I’d recommend you read Team of Rivals before you see the movie. I actually checked it out between theatrical and Blu-ray viewings of Lincoln; I thought the extra knowledge I got from the text added to my second screening quite a bit. It’s an excellent book. Lincoln appears in an aspect ratio of approximately 2.40:1 on this Blu-Ray Disc. We got an excellent transfer here. Sharpness was solid. Even the widest shots maintained tight, concise visuals, with nary a soft spot on display. I noticed no issues related to jagged edges, shimmering or edge haloes. No source defects marred the presentation, either. One wouldn’t anticipate bold colors from a Civil War-era film, and Lincoln went with a standard sepia look. A few instances of alternate/more dynamic hues occasionally materialized but the majority of the flick stayed with this golden look. Within those parameters, the colors appeared strong. Blacks were dark and dense, while shadows looked clear and distinctive. I felt consistently impressed with this terrific presentation. Though not quite as memorable, the movie’s DTS-HD MA 7.1 soundtrack suited the material. Given the film’s emphasis on character and political drama, it didn’t come with tons of room for involving material. That said, it delivered a few dynamic scenes – like an opening war sequence – and gave us a good feel for the different settings. For instance, shots in Congress managed to place the members all around the room in a satisfying manner. The soundscape didn’t often dazzle, but it always created a nice sense of place. Audio quality seemed pleasing. Music was lively and full, while speech seemed concise and natural; no issues with edginess appeared. Effects displayed good accuracy and clarity; they lacked distortion and showed strong range. Overall, I thought this was a “B+” presentation. When we shift to the set’s extras, we find two featurettes on Disc One. 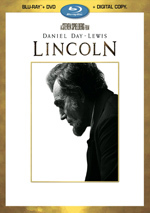 The Journey to Lincoln fills nine minutes, 24 seconds and provides notes from director Steven Spielberg, producer Kathleen Kennedy, production designer Rick Carter, author Doris Kearns Goodwin, screenwriter Tony Kushner, and actors Daniel Day-Lewis and Tommy Lee Jones. We get notes about the subject matter as well as its path to the screen. “Journey” tends to be fairly superficial, but it spells out some decent thoughts about the choice to focus on a limited portion of Lincoln’s life. Also on Disc One, A Historic Tapestry: Richmond, Virginia goes for four minutes and features Spielberg, Carter, Kennedy, Goodwin, director of photography Janusz Kaminski, Virginia Film Office director Andy Edmunds, Virginia Tourism Corporation CEO Rita McClenny, and actor Sally Field. “Tapestry” lets us learn a bit about the movie’s sets and locations – but just a bit. Like “Journey”, “Tapestry” provides a decent but fluffy examination of its topics. 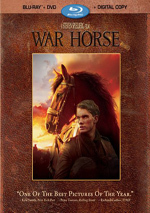 Disc One opens with ads for War Horse, Who Framed Roger Rabbit and Once Upon a Time. These also appear under Sneak Peeks along with a promo for Revenge. No trailer for Lincoln appears here. On Disc Two, we get four additional featurettes. In the Company of Character goes for 10 minutes, 23 seconds and offers info from Spielberg, Kennedy, Day-Lewis, Carter, Kushner, Field, Jones, and actors Gloria Reuben, Jeremy Strong, Joseph Cross, Joseph Gordon-Levitt, James Spader, Tim Blake Nelson, John Hawkes, David Straithairn, Hal Holbrook, Julie White, and Michael Stuhlbarg. As implied by the title, this show looks at cast, characters and performances. Like the earlier pieces, this one has some merit, but it tends toward light chat without much insight. With Crafting the Past, we find a 10-minute, 43-second piece with details from Kennedy, Carter, Goodwin, Cross, Field, Straithairn, Jones, makeup designer Lois Burwell and costume designer Joanna Johnston. “Past” looks at production design, costumes, makeup and period details. We get a decent look at some historical issues, though “Past” tends to feel a little self-congratulatory, as the piece works hard to remind us how accurate the film is. 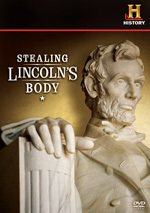 Living with Lincoln goes for 27 minutes, four seconds and provides comments from Spielberg, Carter, Kaminski, Field, Gordon-Levitt, Spader, Kushner, Day-Lewis, Kennedy, Goodwin, Hawkes, Burwell, Pace, Reuben, editor Michael Kahn, and actors Colman Domingo, Byron Jennings, Lee Pace, David Costabile, Richard Topol, and S. Epatha Merkerson. “Living” touches on a little of everything, as we coast through cast, story, period elements, editing, costumes, and other aspects of the shoot. It functions about the same as its predecessors: moderately informative but not memorable. Finally, In Lincoln’s Footsteps fills 16 minutes, 35 seconds with material from Kahn, Spielberg, Kennedy, Johnston, Day-Lewis, Kushner, Goodwin, Field, sound designer Ben Burtt, re-recording mixer Gary Rydstrom, and composer John Williams. We learn about editing, camerawork, music and audio, and valedictory thoughts. “Footsteps” delivers another fairly general piece with a mix of good observations that never adds up to anything especially strong. A third platter brings DVD version of the film with one extra: the “Journey to Lincoln” featurette. We also find a separate digital copy of Lincoln on a fourth disc. With Lincoln, we find a sporadically effective historical drama. I like the film’s emphasis on a narrow time frame, and its lead actor greatly adds to its success. However, it comes with a few more distractions/misfires than I’d like; those keep it from greatness. 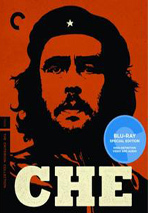 The Blu-ray boasts excellent picture quality and very good audio but delivers mediocre bonus materials. While I think Lincoln gives us a positive film, it’s too inconsistent to be a great one.